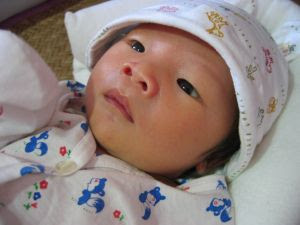 October 4, 2007 -- A 60-year-old woman impregnated in the United States via in-vitro fertilization will become what is believed to be the oldest single mother in Japan to give birth from a donated egg, medical officials say. The woman, whose name is being withheld by officials because of privacy concerns, recently found an obstetrician willing to handle her case 15 weeks into her pregnancy after being rejected by other clinics, her doctor said Wednesday. Surrogate births and artificial insemination are extremely rare in Japan because of ethical concerns in the tradition-bound medical profession, a lack of donors and dearth of doctors willing to provide such treatments. The oldest known pregnancy case in Japan involved a 60-year-old married woman who gave birth in 2001 after in vitro fertilization using a donated egg in the U.S. and her husband's sperm, the Yomiuri newspaper reported Thursday. Originally posted in October 4, 2007. AWWW! Thanks for sharing, too cute! My aunt got pregnant at 38 !